Curtain rods. I have never been a big fan of the overly duded up rods that I see everywhere. Most are massive with thick diameters, flirty finials, and demand too much attention, thus detracting from the curtain fabric and the room’s overall design. 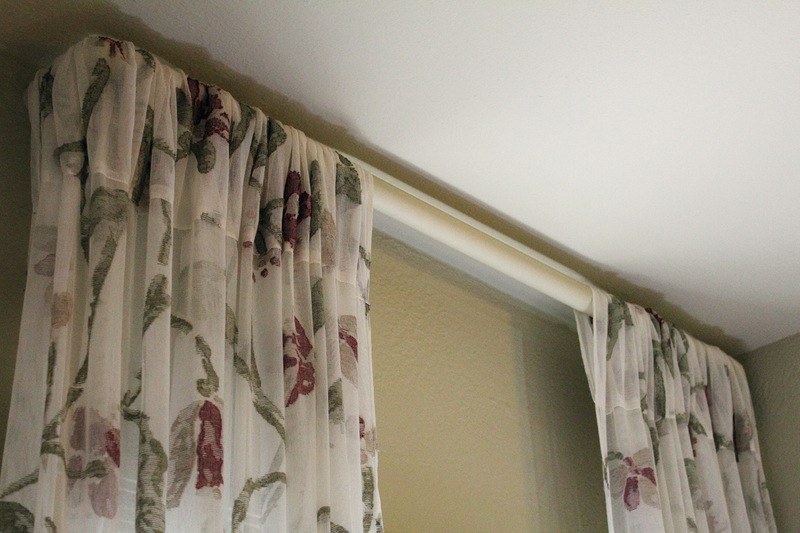 In my two small bedrooms, the curtain rods needed to be functional and discreet. My architect and designer, Charley McKenney, came up with the perfect solution, unfinished 1-3/8 inch diameter wooden poles with radiused corner returns. The poles were then painted to match the wall color. In some cases, when the light is reflecting off the poles, they will also blend and match the ceiling color. As a rule when painting the rooms in my house, the wall color was 100 percent of the chosen color, and the ceilings were usually 75 percent of the wall color. I will be covering the paint variations in another post. The curtains were then slipped on before installing the rods just shy of the ceiling. Having the curtains fall from ceiling to the floor gives my small rooms a more spacious appearance. Pretty decent kind of holdup. Yes?